This week’s theme for the Get Hawt Blog Party is then and now pics from over the past 4 months. I decided to take a picture from when I first tried on my wedding dress, and then on my wedding day… I don’t see a lot of difference.. maybe a little in my arms and my face. The place I see the most difference in real life is around the middle. 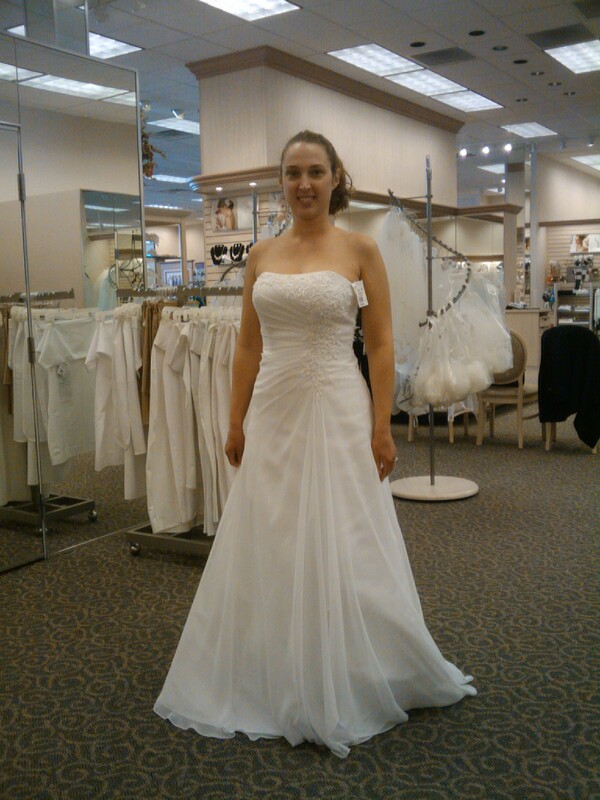 Here’s when I first tried on my dress. In the picture, you can kind of see my stomach was a bit bigger, and my arms look huge to me. When I was at my first fitting, I had a lot of fat coming over the sides, but the lady at David’s Bridal didn’t lace it all the way up for trying on purposes. Here’s on my wedding day. Some noticeable difference in the middle. 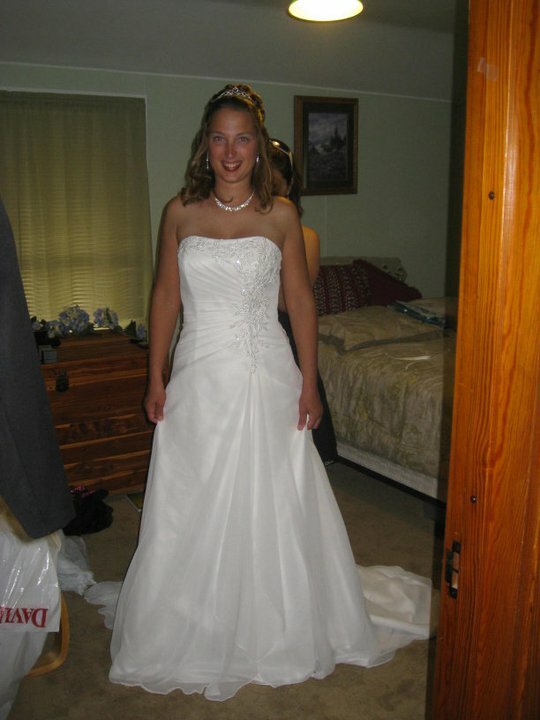 I still look a little bigger on top than I’d have liked, but overall, I loved how I looked in my wedding dress! Even though the pictures don’t show a drastic difference, I am feeling better about how I look, and how clothes fit me. I have one and a half weeks to go until the 3 Day Walk. As soon as my feet heal up better, I will start walking some miles again. I am planning on continuing walking for exercise after the 60 miler is done.